Welcome to the last installment in my Eastern Beauty feature. These two cards are all about creating drama. Both are quite detailed but so different from each other. 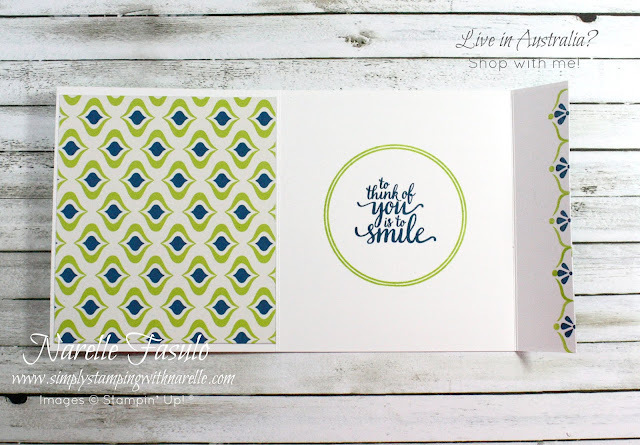 The first features bright stamping and raised die cuts to create drama. I must admit that this card really isn't that nice. It didn't turn out exactly how I wanted it to. But I do love it when you look at it on the angle. I think like all of us, this card definitely has a better side. Hehe. 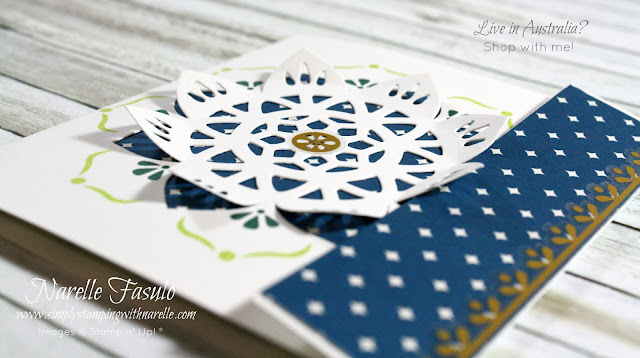 This second card uses a fancy fold and clever die cut embedding to create the drama. I have actually used the petal of the die cut to tuck the little flap under, effectively holding the card closed. Repetitive stamping was not only contained to the front of the card. 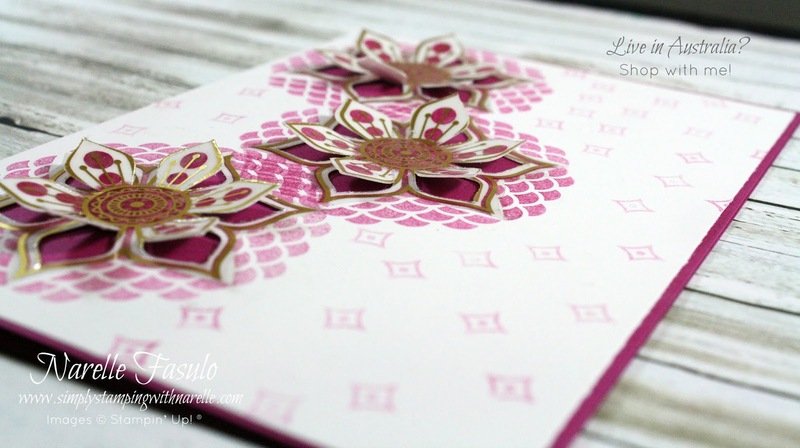 Check out the inside, Along with the three dies used on the front, and the gorgeous use of the patterned paper inside, this card definitely has its share of drama going on. I hope this series has done one of two things. 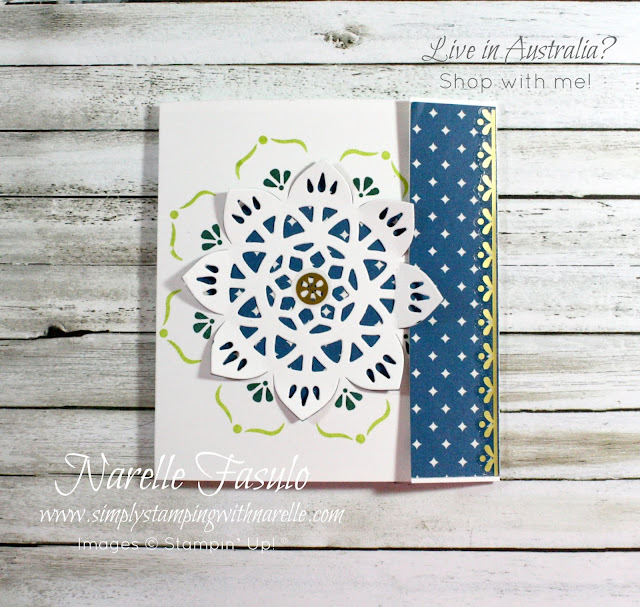 Purchase the stamp set and the matching thinlits OR check out my Stamping By Mail classes. All the cards in this series were part of May's Stamping By Mail class, so if you want quality projects with full colour instructions delivered to your door, be sure to sign up for the next class.